The 48th Superbowl will be taking place in less than a month and with it, is an epic Holographic pack via Nike Sportswear. 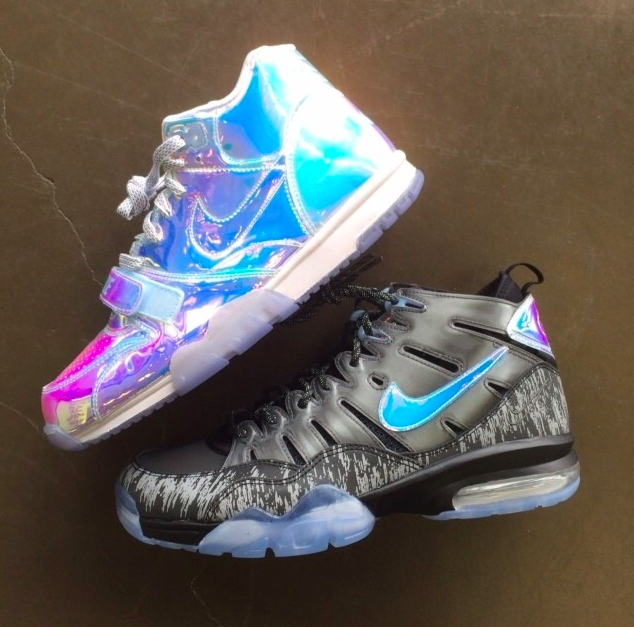 Two classic trainers – the Nike Air Trainer 1 and Nike Air Trainer 94 will be done up in a special holographic concept – much like those…Pokemon cards sorta?. Both offer up an eye catching Hologram effect alongside an Icy blue sole perfect for the winter. Expect these to arrive at Nike Sportswear like Soleboutique.